How To Measure | Creative Kitchens & Baths Plus Inc. Whether custom designing your dream kitchen from scratch or remodeling an existing one, the best-laid plans start with proper measurements. Here are some great tips for accurate measuring and space planning. Use these measuring guidelines in order to get a more accurate design. Begin by measuring the room wall-to-wall. (You will be recording all measurements in INCHES. (Example 110″, not 9′ 2″). Make a rough drawing of the shape of the room. 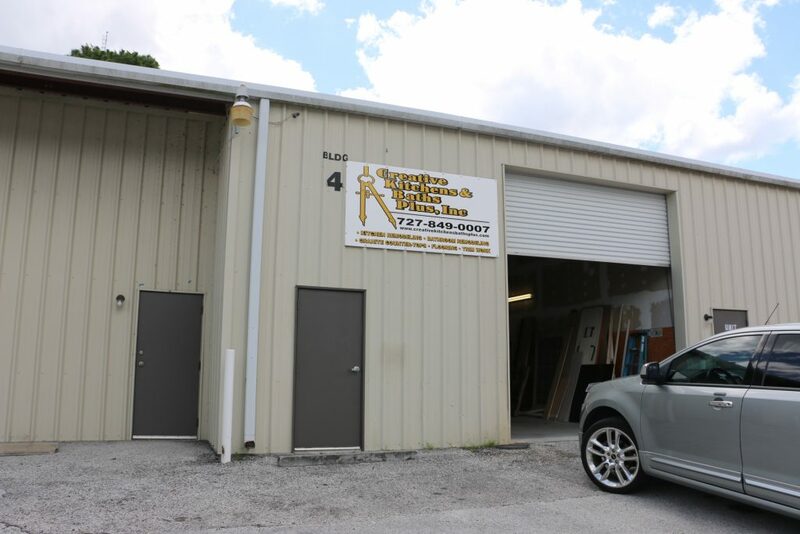 Represent each wall, door, window and any protrusions or recessed areas. This plan does NOT need to be ‘to scale’. Print out a grid, or do it free hand. Only accuracy counts, not talent! 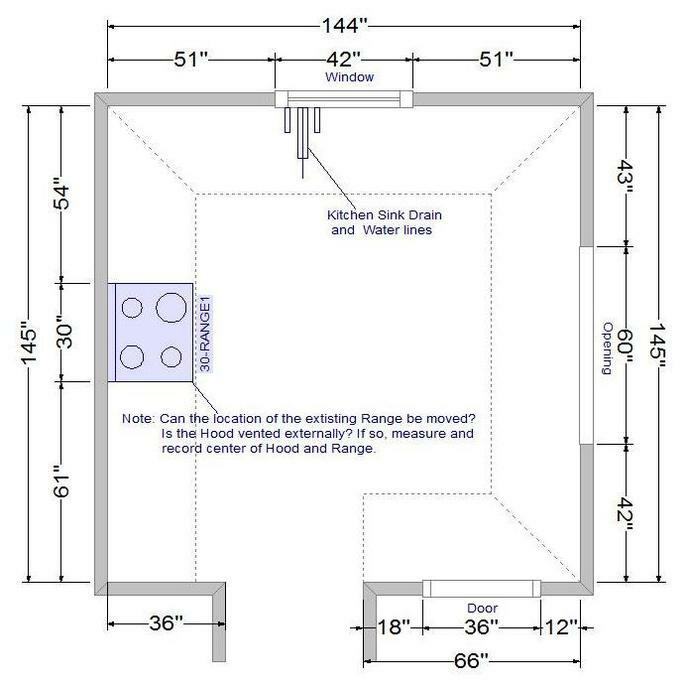 Measure each wall section and record on the drawing. (A wall section is from one corner to a door way or window.) Measure each window and door and record. Add up all dimensions on each wall and verify that the total is equal to the total wall dimension listed on the chart. (If not, re-measure!) 5. 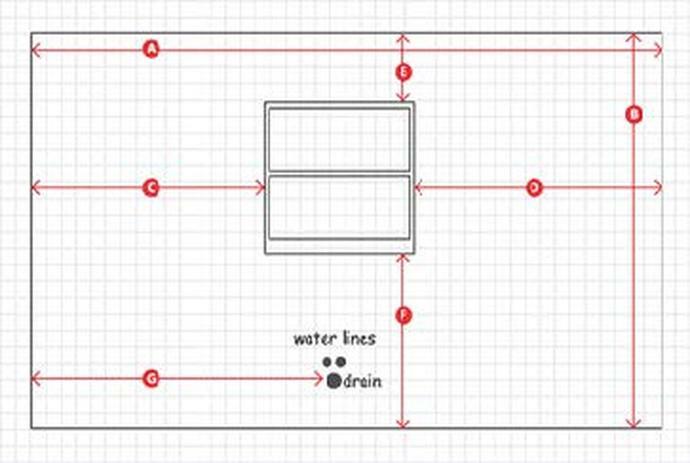 Locate the centerline of the sink, by measuring from one corner of the wall. Record this dimension on your rough drawing. A. Measure entire wall from left to right. C & D. Measure horizontal wall spaces between doors, windows, wall openings, etc. E & F. Measure vertical wall spaces above & below windows, above doors. G. Measure from one corner of the wall to center of sink drain and water lines. When finished email Creative Kitchens & Baths Plus,Inc. all of the information at Creativekitchensplus@verizon.net for a complete design of your kitchen.